My Creative Time's Favorite Stamp/Die of the Month! I Also used the Stitched Lollipop Holder and the Scallop & Stitched Circle Dies. 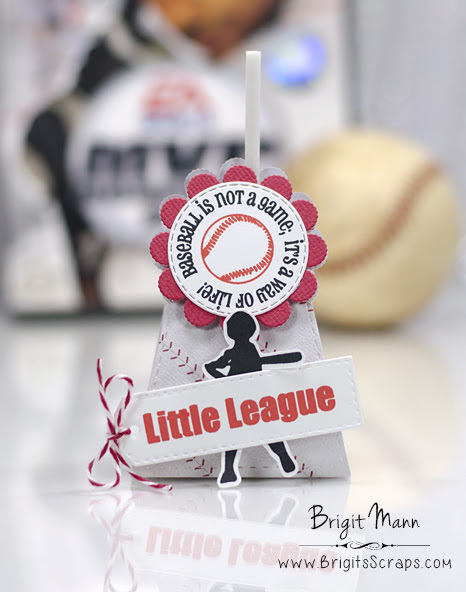 Oh My Goodness What a cutie of a Lollipop holder you created your baseball theme will definitely be a big hit. Great fussy cutting...You so did a super creative job!! Cute treat for Little Leaguers. Great stamps in this set for baseball lovers!